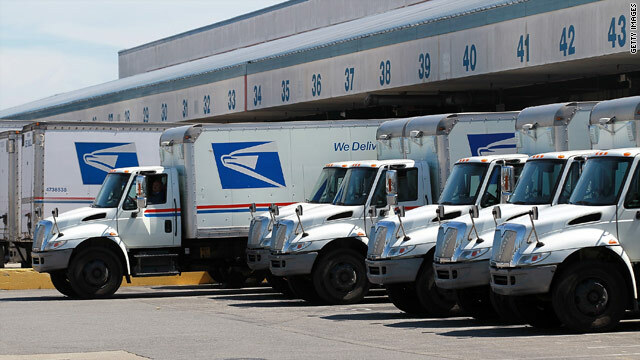 Is benefits law dragging down the Postal Service? The U.S. Postal Service is in a precarious financial situation, telling Congress it faces the "equivalent of Chapter 11 bankruptcy." Losing billions of dollars a year, it is considering whether to close more than 3,600 post offices and lay off tens of thousands of workers. The service faces many problems, including a drop in mail volume in recent years. But the service, which employs nearly 572,000 people, says some of its difficulties are inflicted by the federal government - through a law governing how the agency funds workers' retirement health benefits. In 2006, Congress passed a law requiring the Postal Service to wholly pre-fund its retirement health package - that is, cover the health care costs of future retirees, in advance, at 100%. The Postal Service, which is a corporation owned but not funded by the federal government, is the only government-related agency required to prefund retirees' health benefits. "No one prefunds at more than 30%," said Anthony Vegliante, the service's executive vice president. 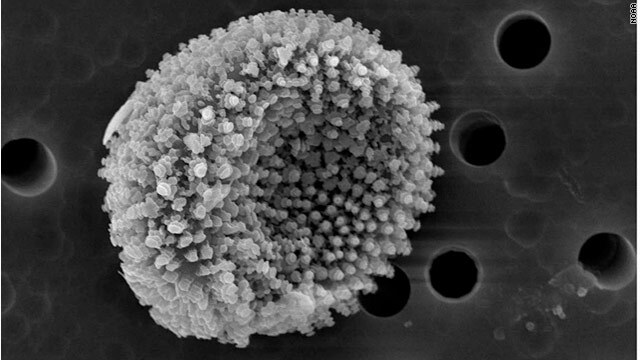 This image, taken with a scanning electron microscope, shows one of the spores that comprised the substance found in Kivalina. A mysterious orange substance found on the shores of an Alaskan village this month is a mass of fungal spores, not microscopic eggs as an initial analysis indicated, the National Oceanic and Atmospheric Administration said Thursday. The spores are consistent with those that come from a fungus that causes rust, a plant-only disease that causes a rust-like appearance on leaves and stems, NOAA’s National Marine Fisheries Service said. 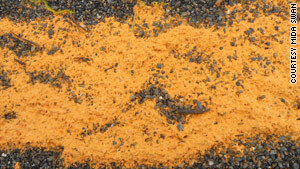 This orange substance mystified residents of Kivalina, Alaska, when it appeared on their shore August 3. A NOAA lab in Juneau, Alaska, said last week that the substance appeared to be a mass of microscopic eggs, possibly those of a small crustacean. 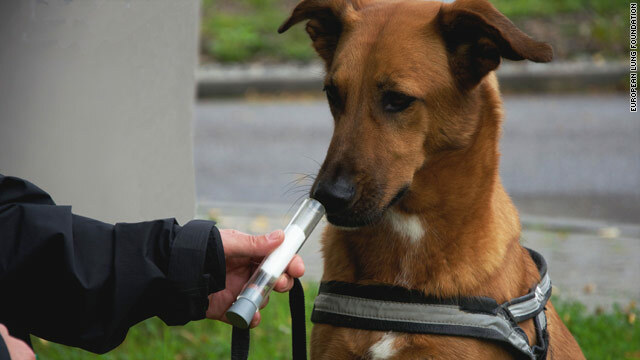 But samples were then taken to a NOAA lab with more advanced equipment - including a scanning electron microscope - in Charleston, South Carolina, NOAA spokeswoman Julie Speegle said. That equipment and consultation with various specialists helped lead to the latest determination, said Steve Morton, a research oceanographer with the Charleston lab. It’s not known whether the spores belong to one of the 7,800 known rust fungi species, NOAA said. “The spores are unlike others we and our network of specialists have examined. However, many rust fungi of the Arctic tundra have yet to be identified,” Morton said in a news release. The longtime companion of notorious fugitive James "Whitey" Bulger pleaded not guilty in Boston Thursday to charges she harbored and concealed him, said a spokeswoman for the U.S. attorney for the District of Massachusetts. Catherine E. Greig, 60, who is being held without bail, allegedly assisted Bulger from January 1995 until June, when the pair was arrested in California, the U.S. attorney's office said in a statement last week. "It is alleged that Greig conspired to take steps to prevent Bulger's discovery and arrest, after knowledge of the fact that a warrant had been issued for his apprehension," the office said. Greig's attorney, Kevin Reddington, did not immediately return calls for comment Thursday. The New Zealand Mint website shows off the coins that are available for pre-order online. With the current state of the U.S. dollar and global economy in flux, perhaps it's time to turn to The Force for answers. The New Zealand Mint may be hoping The Force is good for their business as it prepares to churn out newly-minted "Star Wars" coins. The coins, though they will primarily be collectible in nature, are actually going to be considered legal tender on the South Pacific Niue Island. "New Zealand Mint is proud to launch one of cinema’s most enduring and beloved franchises, Star Wars, as a legal tender coin set," the Mint's website said. 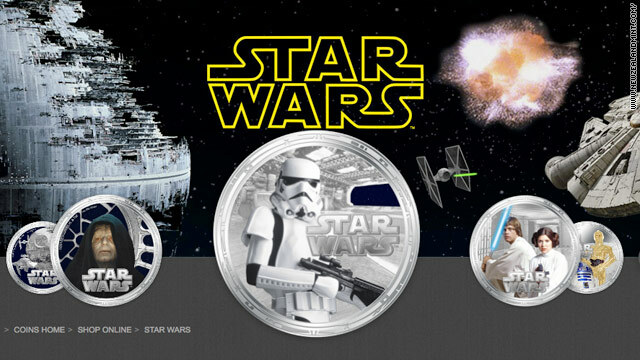 "These coin series will be hugely popular for both Star Wars devotees and coin-collectors alike. This first series is a limited mintage and are quite simply out of this Universe. Don’t deny the Force within you, and get your set today." For the 2,000 residents of "The Rock" as the island is known, the coins will be full legal tender. Niue is a self-governing island, but is not entirely sovereign from New Zealand. It relies heavily on aid from New Zealand and other countries overseen by Queen Elizabeth II, who will be featured on the flip side of each coin. According to NPR, the island will receive a royalty payment from the New Zealand mint for using the coins. 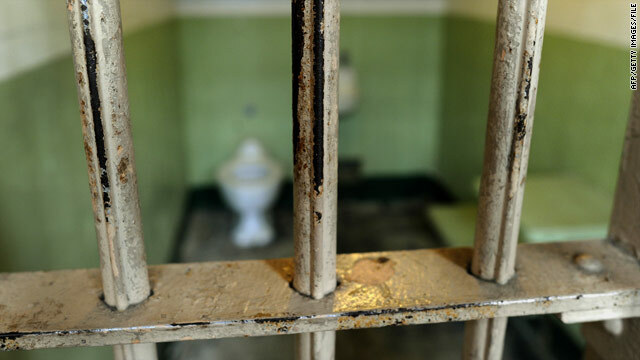 The California State Legislature is considering a bill that aims to re-examine juveniles’ life prison terms after 15 years. A controversial bill headed for a vote in California has stirred up conversation again about whether life sentences for juveniles need to be re-examined. Under the state bill, which received a key vote Wednesday to allow it to head to the Assembly floor for a vote, some juvenile offenders would get the opportunity for release. At the heart of the bill is a question that's been pondered by legal scholars, law enforcement and even the Supreme Court: Should juveniles who have committed crimes that led to a life prison sentence be given a second chance? The bill, introduced by Sen. Leland Yee, D-San Francisco, would allow juveniles to ask a court to re-examine their sentences after they have served 15 years for their crime. Yee, who is also a child psychologist, argues that at certain ages, kids don't have the full capacity to understand their crimes, and locking juveniles up without giving them a chance to show they have gained that capacity isn't the right answer. “The neuroscience is clear – brain maturation continues well through adolescence and thus impulse control, planning, and critical thinking skills are not yet fully developed,” Yee said in a statement. “SB 9 reflects that science and provides the opportunity for compassion and rehabilitation that we should exercise with minors." California law allows kids as young as 14 to be sentenced to life without parole for certain crimes. 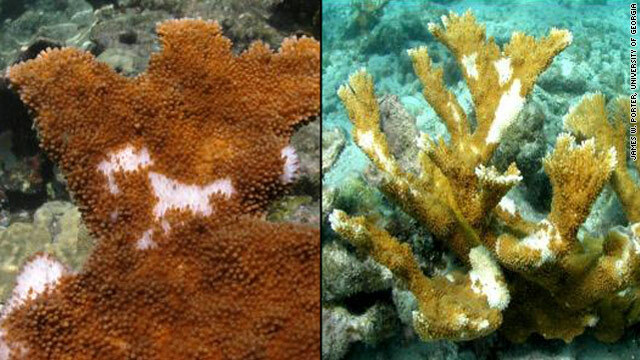 Photos from research show the white blotches, caused by bacteria from waste, that appear on coral in the Florida Keys. Human feces making their way through wastewater facilities and into the ocean are passing along a white pox disease-causing bacterium that's killing Elkhorn coral near Key West, Florida, a new study says. "These bacteria do not come from the ocean; they come from us," said James W. Porter, a University of Georgia ecology professor, adding that mankind has a responsibility to respond and save a massive area around the Florida Keys. Porter and his colleagues say the study for the first time gives evidence of a new way of spreading diseases. Usually, bacteria are transmitted from wildlife to humans, for example, in the case of Avian flu. But here, the researchers' findings, which were published in the peer-reviewed journal PLoS ONE, show that diseases can in some cases be passed on from humans and affect wildlife to the point where it causes a population decline. 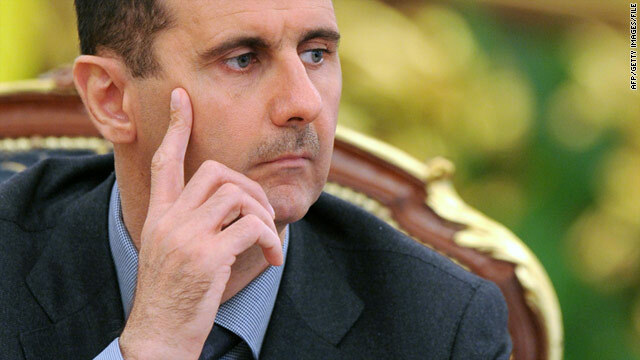 World leaders want Syrian President Bashar al-Assad to step down. [Updated at 10:10 a.m.] U.S. Secretary of State Hillary Clinton said Thursday the United States "will take steps to mitigate any unintended effects of the (new) sanctions on the Syrian people." Clinton also said the United States expects that other countries "will amplify the steps we are taking." [Posted at 10:05 a.m.] The leaders of France, Germany and the United Kingdom joined U.S. President Barack Obama Thursday in calling on Syrian President Bashar al-Assad to step down. "Our three countries believe that President Assad, who is resorting to brutal military force against his own people and who is responsible for the situation, has lost all legitimacy and can no longer claim to lead the country," British Prime Minister David Cameron, French President Nicolas Sarkozy and German Chancellor Angela Merkel said in a statement. "We call on him to face the reality of the complete rejection of his regime by the Syrian people and to step aside in the best interests of Syria and the unity of its people." A U.N. fact-finding mission announced Thursday it has found Syria guilty of human rights violations in its months-long crackdown on protesters, and that it may be time for the International Criminal Court to be involved. "The mission found a pattern of human rights violations that constitutes widespread or systematic attacks against the civilian population, which may amount to crimes against humanity," the Fact-Finding Mission on Syria wrote in its report. The violations include murder and disappearances, torture, deprivation of liberty, and persecution, the mission said. The commission called on the U.N. Human Rights Council to urge the U.N. Security Council to "address in the strongest terms the killing of peaceful protesters and other civilians in Syria through the use of excessive force and other grave human rights violations; to call for an immediate cessation of attacks against the civilian population; and to consider referring the situation in Syria to the International Criminal Court." The Security Council is to be briefed Thursday by U.N. High Commissioner for Human Rights Navi Pillay; Valerie Amos, under-secretary-general of humanitarian affairs and emergency relief efforts; and a U.N. political officer. The meeting is not expected to result in issuance of a statement or adoption of a resolution; its purpose is to get the 15-member council closer to a decision on how to proceed. The U.N. Human Rights Council is also holding a special session Monday on Syria, according to Cedric Sepe, press officer at the Office of the High Commissioner for Human Rights. He said member states have called for the session, in Geneva, Switzerland. The session may extend into Tuesday, he said. [Updated at 9:09 a.m.] The death toll in southern Israeli violence now stands at 13 - six Israelis and seven attackers, authorities said. "This is a serious terrorist attack in a number of locations. The event reflects the weakening of Egyptian control over Sinai and the expansion of the activity of terrorist forces. The origin of these acts of terror is in Gaza and we will act against them in our full force and determination." [Updated at 7:47 a.m.] At least six people were killed and more than two dozen others were injured in southern Israel when attackers fired shots at a bus, assaulted Israeli soldiers, and fired mortars and an anti-tank missile. The assault occurred about 20 kilometers (12 miles) from the Israeli city of Eilat - close to the Israeli-Egyptian border. Israeli soldiers exchanged gunfire with the assailants, described by the Israel Defense Forces as "terrorists." An Israeli emergency official said six people died. Four were found in a private car and one was at a nearby scene. A sixth man was found dead as well. At least 26 people were admitted to Yoseftal Hospital in Eilat, including one with serious injuries. Three injured people were transferred to Soroka hospital in Beer Sheva. The IDF said casualties included civilians and soldiers. The incident began when shots were fired at a vehicle on a bus traveling from Beersheva to Eilat, near the community of Netafim.IDF spokesman Brig. Gen. Yoav Mordechai said that after the bus attack, explosives were used against an IDF force operating in the area. Mortars were fired toward Israeli troops near the Egyptian border, and an anti-tank missile was fired, Mordechai said. Prime Minister Benjamin Netanyahu and Israeli Defense Minister Ehud Barak met to discuss the "grave attacks," the prime minister's office said. Members of Japan's team celebrate their 2010 World Series victory, which snapped a five-year winning streak by U.S. teams. Little League World Series: Watch out Major League Baseball, you've got a little competition. That's right. Thursday marks the official beginning of the Little League World Series, where the best of the best young players show off their skills in Williamsport, Pennsylvania. The 65th World Series will be played out on the diamond through August 28. It offers a chance to see some young talent who may end up playing on your favorite college or professional baseball team one day. And this year, for the first time, several new squads will be making their first start in Williamsport. Among them a team from Montana, a state that has never been represented in the series. "Just to think, in 65 years," 12-year-old Andy Maehl told the Billings Gazette, "we're the only team from Montana to do that." But perhaps most eyes may be trained on a team with a hometown advantage. For the first time in decades, a local team - one from Keystone, Pennsylvania - is competing in the World Series. Credit rating agency Standard & Poor's is being investigated by the U.S. Justice Department for allegedly overrating mortgage-backed securities, whose meltdown led to the 2008 financial crisis, according to a report published Thursday. In particular, The New York Times said the government was looking into whether analysts for S&P, a unit of McGraw Hill Co., wanted to give lower ratings to the mortgage securities, but were overruled by business managers. 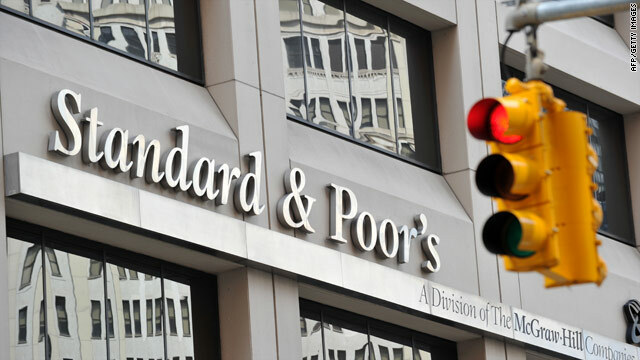 S&P, like other ratings agencies, collects fees from issuers for rating securities. The Justice Department declined to comment to CNN regarding the reported investigation. S&P did not immediately return comment to CNNMoney. The report also said the Securities and Exchange Commission is also investigating S&P, and might be looking into rating agencies Moody's Corp. and Fitch Ratings, concerning mortgage securities. SEC officials had no comment to CNNMoney. Concerns that ratings agencies overrated mortgage securities have been voiced ever since the financial crisis. But the situation is complicated politically by the fact that the report comes nearly two weeks after S&P downgraded the credit rating of U.S. debt, stripping the world's largest economy of its prized AAA status. The presidential election is more than a year away, but the race to the White House is ongoing. Watch CNN.com Live for continuing coverage of the presidential race. 9:00 am ET - Race to 2012: Perry in New Hampshire - GOP presidential candidate Gov. Rick Perry holds a meet-and-greet with the public in Portsmouth, New Hampshire. A similar event happens at 11:45 am ET in Dover.